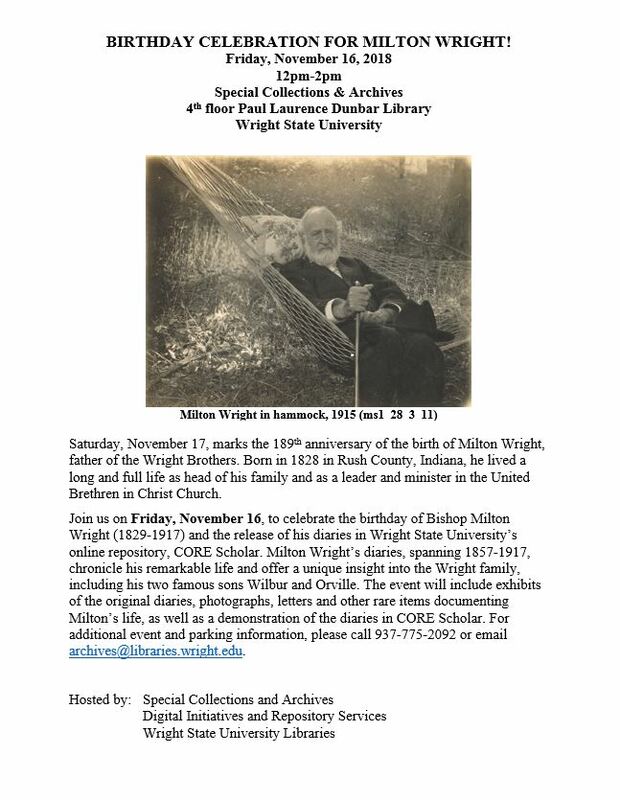 Join us Friday, November 16, from 12pm-2pm as we celebrate the 189th birthday of Milton Wright along with the release of his diaries on Wright State University’s CORE Scholar. This entry was posted in Collections, SC&A, Wright Brothers and tagged Bishop Milton Wright, CORE Scholar, MS-1. Bookmark the permalink.